The relics were brought this morning at 10.00, almost recalling what happened when Luisa was still alive. 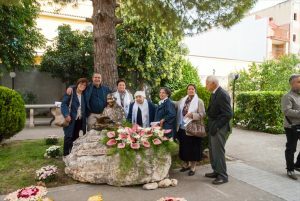 St. Annibale was linked to Luisa by a spiritual fraternal and sincere friendship that began in 1910 when Canon Maria di Francia met her for the first time. He went to her house after he became aware of the fame of spirituality that surrounded her. 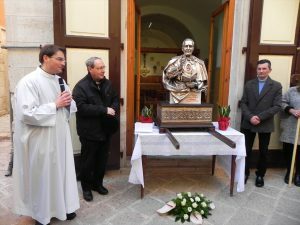 “It is just great that our first meeting starts right here, where we gather, also where Father Annibale met and supported Luisa several times, celebrated Mass, prayed …” With these words the Rogationist Father Angelo Sardone, who brought the relics with Father Filippo, began his talk and greeted all the faithful who were there to pay homage to the Saint from Messina. “It is really necessary to make these writings known to the world now, and I believe they will do a great deal of good” he commented in a letter. In fact he immediately began to print the “Hour of the Passion” and worked hard to publish Luisa’s writings, but he left, however, unfinished the work because of his death. With this hope we are preparing to experience this important week of spirituality, rich in teachings and moments of prayer that will end Saturday, February 10 with the consecration of our hearts and the entrustment of the entire community to St Annibale. Now, in order to be able to say what Jesus told me, I have to make a brief mention – that here in Corato a House has been founded, which was wanted and started by the venerable memory of Father Canonical Annibale Maria Di Francia, and which his children, faithful to the will of their founder, have executed and given the name of House of the Divine Will, as the venerable father wanted. And he wanted me to enter this House; and on the first day of its opening, by their goodness, his sons and daughters, the reverend mothers, came to take me and brought me into a room which is such that, as the door of this room is opened, I can see the Tabernacle, I can listen to Holy Mass, I am just under the gazes of my Jesus in the Sacrament. O! how happy I feel, that from now on, if Jesus wants me to continue to write, I will write always keeping one eye on the Tabernacle and the other on the paper I write on. Therefore, I pray You, my Love, to assist me and to give me the strength to make the sacrifice that You Yourself want. “These days will surely be full of grace for everyone“. With those words, on Sunday February 4, Father Angelo Sardone, Rogationist of the community of Bari, began his talk when the relics of Saint Annibale Maria di Francia arrived at the house of the servant of God Luisa Piccarreta. Yes, they were really days of grace and blessing and we can confirm now at the conclusion of the week of spirituality that was conceived in the context of the initiatives for the 90th anniversary of the opening of the House of the Daughters of Divine Zeal. 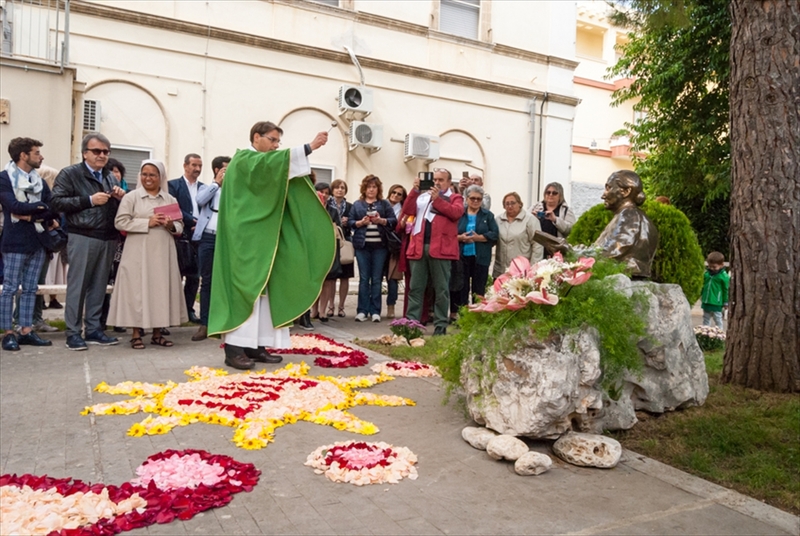 Saint Hannibal, with the presence of his relics, spiritually enriched the city of Corato staying for eight days at the Church Santa Maria Greca, where the tomb of the Servant of God Luisa Piccarreta is guarded. It was indeed touching to be simultaneously in front of two models of holiness linked together by an intense spiritual relationship, and united – we could say – by one single mission: to live and spread the Divine Will. “A crusade of prayer and knowledge“, Father Angelo defined the intense program of the event. 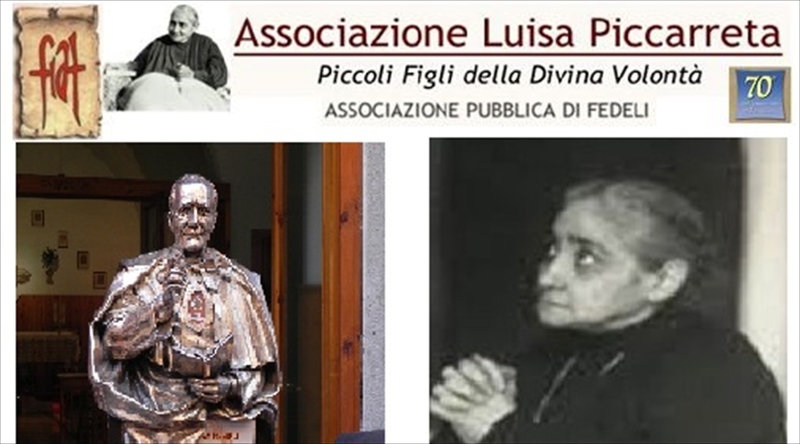 It was characterized daily by moments of prayer and formative and spiritual activities that allowed us to know more about the figure and the work of the Saint from Messina in correlation especially with Luisa, the little daughter of the Divine Will. The venture of Annibale Maria Di Francia started in 1878 in the Avignone district, the worst slum in Messina at that time; the meeting with Francesco Zancone, a blind beggar changed his life. Father Annibale was rich, from a noble family and was admired for his culture. He could have had an extraordinary career, but he left everything and went into the midst of the slums of Messina. There he worked incessantly for the temporal and spiritual good of his neighbor, through the education and sanctification of children and boys, evangelization and relief to the poorest. He was enraptured, since adolescence, by the gospel expression: “The harvest is plentiful, but the laborers are few; therefore pray earnestly to the Lord of the harvest to send out laborers into his harvest “(Mt 9:38; Lk 10: 2), and for this noble cause he spent all his energies. 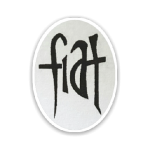 The Rogate (Ask) thus became his life program. To this end, he founded two religious Congregations: the Rogationists and the Daughters of the Divine Zeal, and promoted numerous initiatives to spread among the faithful the awareness of the need to pray intensely for vocations. He himself deeply loved his priesthood; He lived it consistently, and was fully convinced that it is only through the work of numerous holy priests that humanity can be saved. 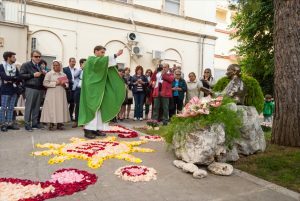 For living and spreading this charism with admirable zeal, he was recognized by the Church as” distinguished Apostle of Prayer for Vocations” and Pope John Paul II called him “authentic forerunner and zealous master of modern vocation ministry”. His message is particularly timely today, in the third millennium. The “global village” that our planet has become, confined by the communications network and political, economic and social interests, feels an urgent need of good, hard-working apostles who work for the Kingdom..
Priests, consecrated persons and all Christians are the “laborers of the Gospel” and are the fruit of prayer. It is necessary to pray to the Lord of the harvest so that many people, responding with their own generous FIAT to the call, can become workers of the harvest, new “apostles of the Divine Will“- as Jesus himself call them in Luisa’s writings – ready to work for salvation and sanctification by communicating to all the precious truths of the Divine Will. Therefore, we can see how St. Annibale’ s “Rogate” and Luisa’s “Fiat” interweave and walk in unison; Luisa and St. Annibale, in the plans of the Divine Providence, mutually helped and influenced each other, by communicating to each other the charisms with which the Lord had enriched their souls for the good of the Church. Pope Benedict XVI said “true friendship, in addition to being a relationship between people, it is a mutual help and spiritual journey. This is a characteristic of Saints: they cultivate friendship because it is one of the noblest manifestations of the human heart and has something divine about it”. The ministers are cooperators, guardians and depositaries of the knowledge, goods and prodigies that are in the Divine Will. So, just as He had the priesthood before His coming in order to prepare the people, and the priesthood of His Church in order to confirm His coming and everything He did and said, so – Jesus said- “I will I have the priesthood of the Kingdom of my Will”. It is precisely to support these new apostles of the Kingdom, within the Association Luisa Piccarreta a mission was born and takes the name Spiritual Mother for Priests. 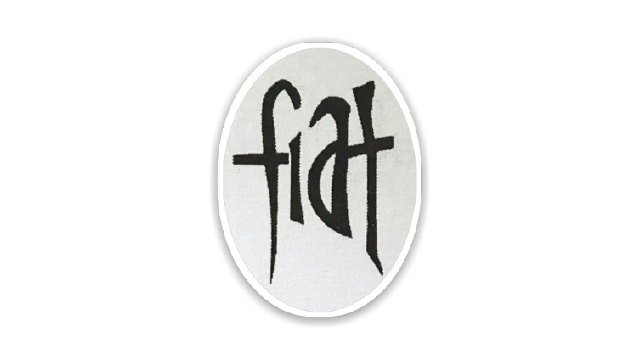 The souls who are part of it aim to spiritually adopt a priest, praying for him and sharing with him, in the Divine Will, his priestly life, a life of offering to Christ and to His Church, so that the flock entrusted to him may walk towards the Kingdom of the Fiat Voluntas Tua already on earth. And it was a very great moment on Saturday evening, when during the celebration of Holy Mass some members of the Mission wished to join the Union of Prayer for Vocations, according to the spirit that animated the life and work of St. Annibale sanctioning, also in this case, the profound spiritual bond between the Little Children of the Divine Will and the daughters and sons of Father Annibale.